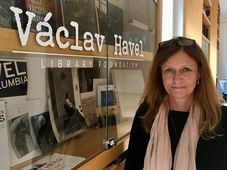 Every year the Vize (Vision) 97 Foundation of former Czech president Vaclav Havel and his wife Dagmar presents an award for outstanding work in the world of science. 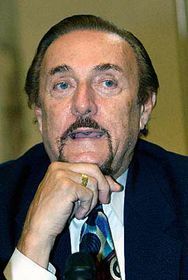 This year's winner is one of the world's best known psychologists, Philip Zimbardo. He is famous for his work on behaviour in prisons, and last year sat on the commission investigating the abuse of Iraqi prisoners by American soldiers. I spoke to Professor Zimbardo at Tuesday's ceremony, and asked him what it meant to receive this award from Mr Havel. 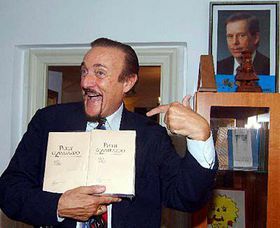 Philip Zimbardo, photo: CTK "It's wonderful for me to get this award because he has always been a hero of mine in that he combined the best of patriotism with the willingness to be a dissenter, to stand up against tyrants. 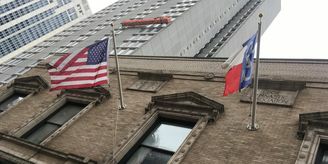 "This is a man who was a poet, a playwright, and was willing to put his ideals, his belief in freedom and his belief in his country before his personal gain. And willing to go to prison. There are very few such leaders in the world; Nelson Mandela is one of the few others. "So to get this award is wonderful in two ways: the opportunity to meet a hero, and secondly it acknowledges my research in a totally different way than it's been recognised in America." One thing that you have studied a lot is prisons - have you had a chance to talk to Mr Havel about his prison experience? 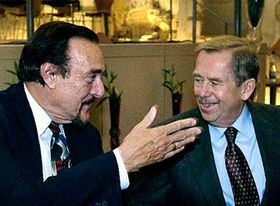 Philip Zimbardo and Vaclav Havel, photo: CTK "No, but we will. He gave me a book, his Letters to Olga, letters he wrote to his first wife from prison, which I will begin to read, and hopefully we'll have a chance to talk tonight. 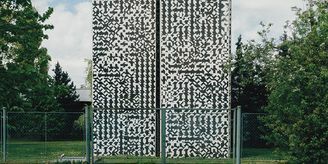 We're going to meet the president of Iraq, and we'll get a chance to talk about prisons in Iraq, as well as President Havel's prison experience." I understand this isn't your first visit to Prague. 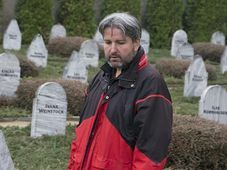 "Oh, yes - I was here way back in 1969, the year after the Warsaw Pact nations came in and crushed the first...it wasn't even a revolution, it was just an attempt to introduce what they called putting a human face on socialism. Philip Zimbardo, photo: CTK "It was so sad when I was here because Russian tanks were around the city, people were very sad and sombre. And now to come back after this many years it was wonderful just to walk in the Old Town, to walk down the streets and see joy on people's faces, to see the prosperity. It's just wonderful to be back here." 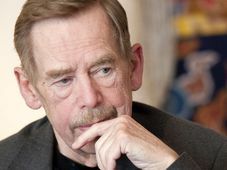 Finally, perhaps you know Wednesday is Mr Havel's birthday - have you brought anything special for him? "Yes, one of the things I brought from America is...my brother-in-law is a very famous glass blower, and he made a unique big marble...sculpture for him, which I just gave him. For his desk."